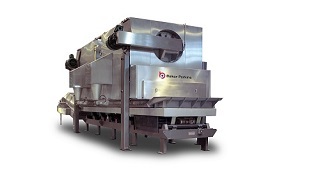 The high-output Cook Master™ batch cooker processes milled or whole cereal products including wheat, corn and bran. 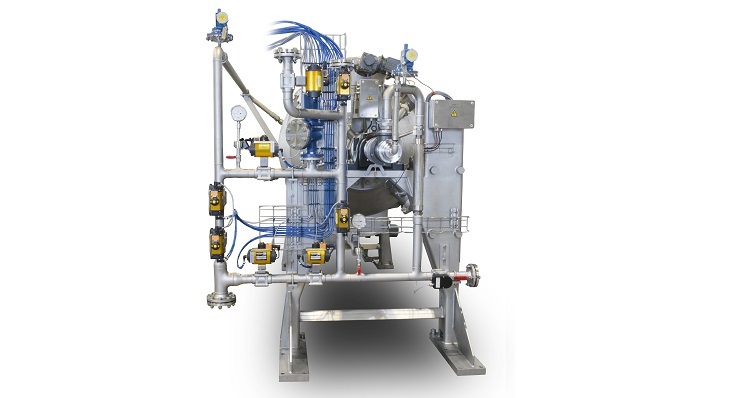 It is a rotating live steam pressure unit that delivers the highest levels of quality, consistency and efficiency. 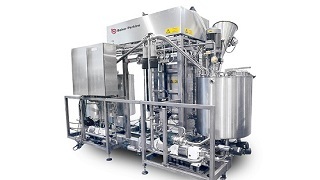 Fully automatic batch operation and a highly effective mixing action ensure low operating and maintenance costs. 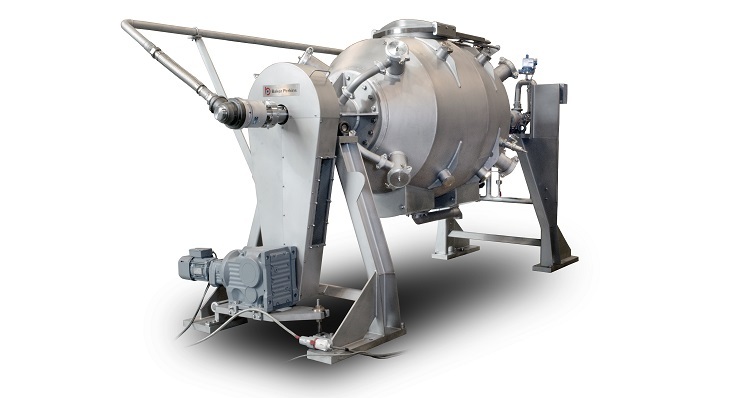 Batches of grains, flours or pulses are cooked in a slowly rotating vessel through which pressurized steam flows, either from inlets at each end of the cooker or through a centralized tube. 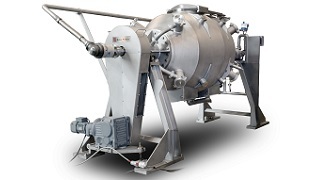 The rotation of the vessel works with its unique double conical profile to constantly move and turn the grains in the steam for even and thorough cooking. 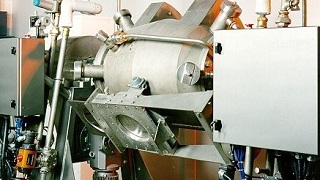 The cooking process is stable and repeatable and, combined with automatic process control, results in consistent cooking within and between batches. This is the most effective way of retaining the nutritional benefits of whole or milled grains, while developing the texture and flavour required for high quality breakfast cereals. A new pressure sensor mounted on the cooker shell prevents the valve opening when under pressure. Labour costs are kept to a minimum by a completely flexible recipe-driven control system that carries out all the process operations automatically. It allows all operating parameters to be defined for every stage of the process cycle, and provides full process visualization so that operators can see every operating parameter at a glance. Features include alarm management and history, historical trending functions, and connection to a plant-wide SCADA or ERP system. 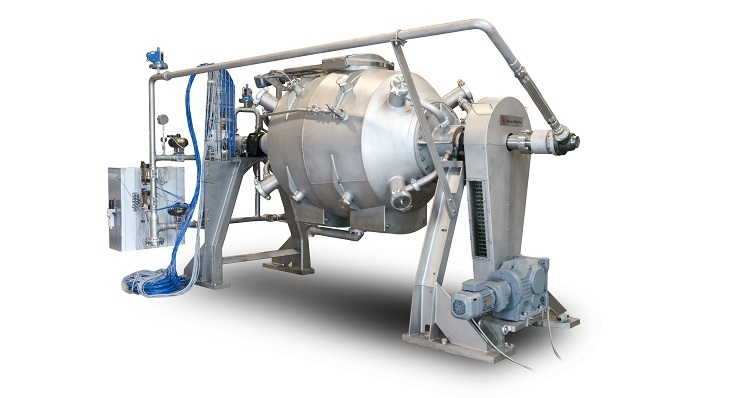 The cooker vessel design facilitates discharge with no operator intervention, while consistent processing reduces additional waste. An upgraded slide valve design improves performance, reduces maintenance and enhances safety. The internal surface of the cooker vessel is fully welded and free of cracks, crevices or niches that could harbour bacteria. Unnecessary downtime and maintenance costs are avoided by careful design: difficult-to-clean obstructions such as lifter blades or a through shaft are eliminated. 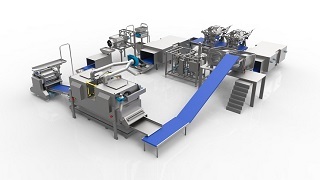 A fully automatic clean-in-place / wash cycle cleans the vessel quickly and effectively. 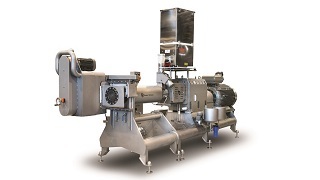 An upgraded valve combines a revised technical design with Baker Perkins’ advanced hygiene standards and the latest good manufacturing processes (GMP). 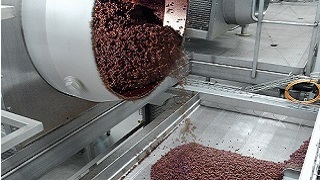 The hygienic design allows an easier allergen clean to be achieved. 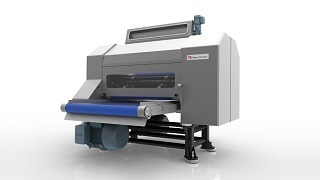 The redesign provides easy access to components and enables simple replacement of consumables, reducing maintenance time - a single machine operator can carry out a seal change on the main chamber lid within 15 minutes. 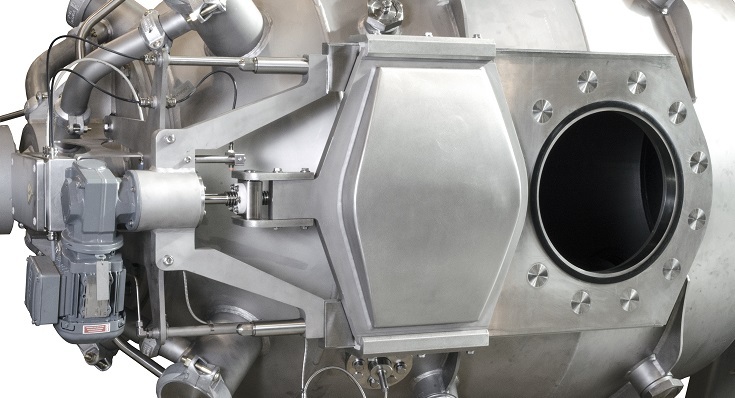 The number of areas where it is possible for product to settle or build up on the slide valve have been minimized to improve ease of clean down. 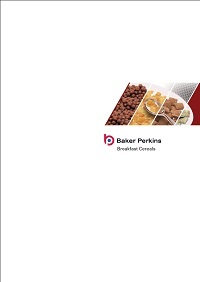 The redesigned slide valve is also available as a fully integrated retrofit unit to Baker Perkins’ Cook Master™ cereal cookers. This system combines pre-weighed dry and liquid ingredients into a pre-blended liquid flavour mixture for easy dispersion in the cooker. Once the grain has been loaded into the cooker, the liquor is added in batches. The delivery system can feed one or more cookers. Cooked cereal from the rotary cooker has large agglomerates. This unit breaks the product down before transferring it to the next process. This is either bin conditioning or drying.